Few regions in North America can compare to the geographical diversity and astounding natural beauty of the Pacific Northwest. With snow-blanketed mountains, broad rivers, lush valleys, endless ocean, and abundant wildlife, the region is home to some of the world’s top outdoor recreation. 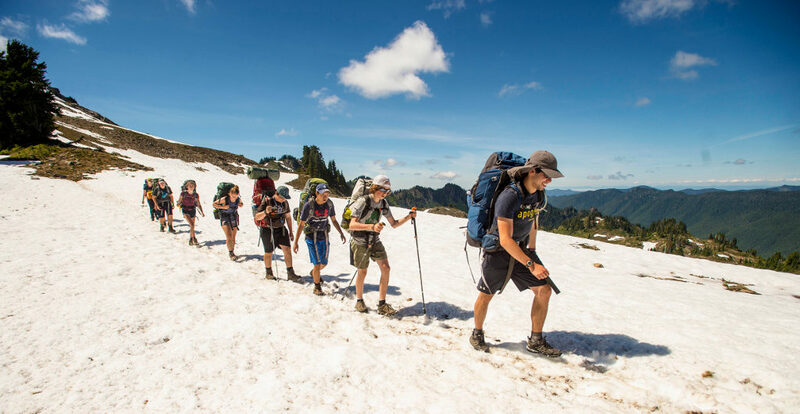 Washington State will be your home for three weeks while you hike the snowy peaks of Olympic and North Cascades National Parks, raft the Sauk River, kayak the San Juan Islands of Puget Sound, and give back through a rewarding community service project. In this spectacular setting you will make new friends, achieve new heights, and expand your world with each day’s adventure. We’ll meet in Seattle and enjoy the rest of the day getting to know one another and preparing for our amazing backpacking adventure ahead. Our group will bond quickly as we spend our first days together breaking in our boots and packs amid the majestic peaks of Olympic National Park. After our first taste of backcountry living, we’ll continue north to spend a day rafting the Sauk River with professional guides. From the Sauk, we’ll head to the vast wilderness of North Cascades National Park for backpacking and the community service portion of our trip. After a day of rest and preparation, we’ll load up our packs and head into the North Cascades backcountry for an exciting six-day trek. Every day will be a stunning adventure as we hike from unspoiled lowland forests to high alpine country where pristine lakes, glaciers, and snow-capped mountains abound. Emerging from the backcountry feeling confident and accomplished, we’ll transfer to Puget Sound and trade in our packs for sea kayaks. 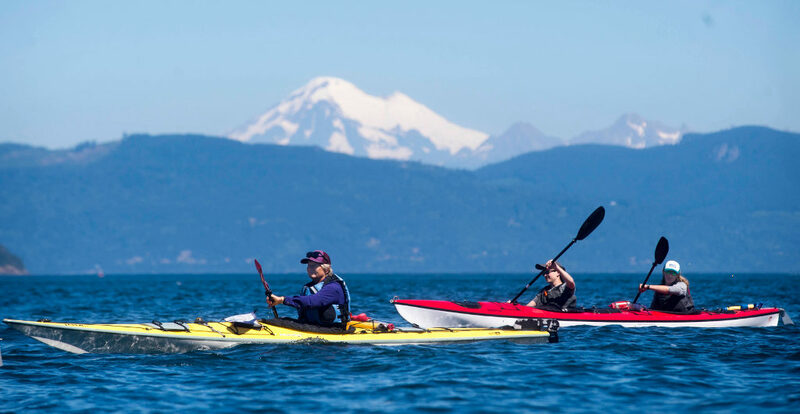 The San Juan Islands will be our playground for three days as we hone our kayaking skills and explore this diverse coastal ecosystem with professional guides. We’ll camp on uninhabited island beaches, soak up the sun, and keep an eye out for seals, Bald Eagles, and orca whales. 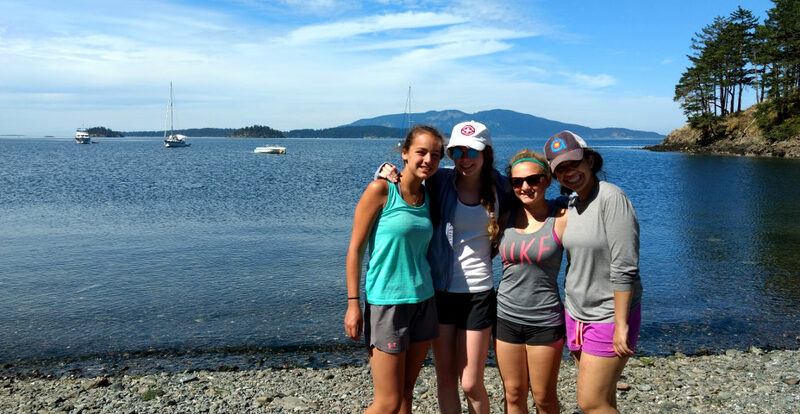 While here, we’ll also volunteer with a local organization to help keep the San Juan Islands pristine. We’ll finish up our trip back in Seattle where we’ll explore the sights for a day and enjoy a final, celebratory dinner in one of the city’s great restaurants. How physically challenging is NWX? Given a rating of Challenge Level 6 (out of a maximum of 10), we consider NWX to be an intermediate hiking trip that any moderately fit, motivated student can successfully complete with appropriate preparation. Compared to similar hiking trips, we believe that NWX is slightly more challenging than our California Mountains & Coast and Alaska Mountains & Coast trips (mostly because of the more extensive backcountry sections and longer trip length), but easier than our Pyrenees Mountains & Coast and Alps Explorer trips. NWX is comparable in challenge level to our Scottish Highlands (SH) trip, because, though NWX is one week longer, SH involves backpacking with heavier packs for the majority of the itinerary. Most students find the most challenging portion of NWX to be the five-night backcountry section, as the group will have heavy packs while they are carrying all of their food for this time. Please note that all of Apogee’s Challenge Levels are not scientific and are subjectively calculated by the Apogee staff. The group will be camping every night over the course of the trip; they will spend ten nights in established, front country campsites, and nine nights in the “backcountry” (two nights of island camping, two nights in their first backcountry section, and five nights in their second). Leaders will separate students by gender into tent groups, and will rotate those groups several times over the course of the trip. Students will share a tent with one or two other students. What is the difference between front-country and backcountry hiking? What will the backcountry portions of NWX be like? How much weight will my child carry during the five-night backcountry section? Generally speaking, the front-country is any area that is easily accessible by vehicles and day users. Hiking in the backcountry, on the other hand, involves hiking and camping in more remote locations without running water. Hiking and camping in the backcountry requires more preparation because of the need to carry in all food and equipment, and to treat drinking water prior to consumption. Our NWX trip has three backcountry excursions: a two-night backpack, a five-night backpack, and a two-night sea-kayaking expedition. Your child should expect to carry somewhere between 30 and 40 pounds in their pack during the five-night backcountry section. The specifics of our community service projects and the number of hours we volunteer varies slightly from year-to-year. In the past, we have worked with the Department of Natural Resources on a variety of tasks including trail maintenance, building benches and tables, and beautification in the San Juan Islands during our sea kayaking portion. Students can expect 3-5 hours of community service work, usually over the course of one day. I’m worried about wildfires affecting my child’s trip. What are Apogee’s wildfire contingency plans? Like you, we’ve been concerned as we’ve followed the recent wildfires throughout the West. While the devastation has been alarming and often heartbreaking, the good news is that, given the vast expanses in the West, our itineraries have rarely been affected by wildfire. That said, we have changed itineraries without hesitation when necessary. During the summer, we monitor new and existing wildfires on a daily basis. When it comes to the need to move a group or otherwise change an itinerary, we will always err on the side of caution. In the event that a wildfire – either the fire itself or the resulting air quality – becomes too close for comfort, we have evacuation and contingency plans for each location and activity of our trip. We will make sure to keep families in the loop with up-to-date information if we need to change the itinerary in any way. You can expect to receive a phone call from your child three times during their trip, approximately once a week, usually after backcountry portions. Please note that Apogee staff members do not travel with students; our trip leaders will already be in Seattle on arrival day and will stay in Seattle after the trip ends. Apogee staff and trip leaders will have a detailed flight itinerary for each student who is flying to the trip start and will be at the airport to greet them on arrival. Once students are with their leaders, they will call home to let their parents know they have arrived and are with their group. Please see our blog post for specifics regarding students traveling as Unaccompanied Minors. Further, we encourage you to coordinate travel with other attendees; we’re happy to put you in touch with other enrolled families from your region. We will provide enrolled families with a Travel Information document covering details specific to traveling to and from Seattle, including airport information and arrival and departure time windows. Please contact Apogee with any specific questions or concerns regarding drop-offs and/or pick-ups. Apogee’s tuition costs are meant to be all-inclusive and include all meal, accommodation, and activity fees. 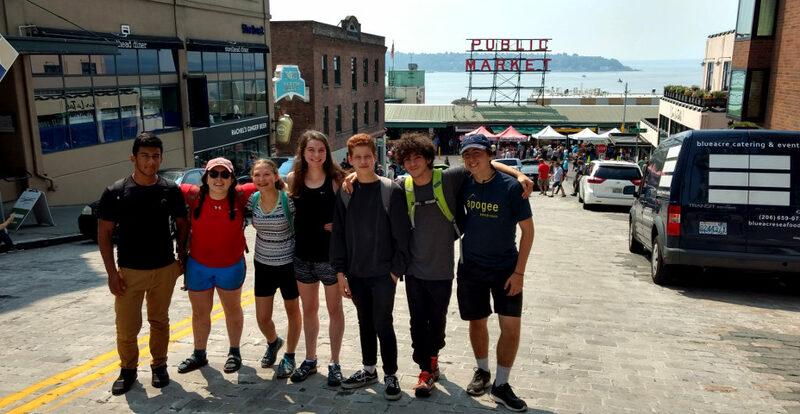 The most significant additional expenses on our Northwest Explorer trip will include travel to and from Seattle, a sleeping bag and sleeping pad, a backpacking pack, and hiking boots.